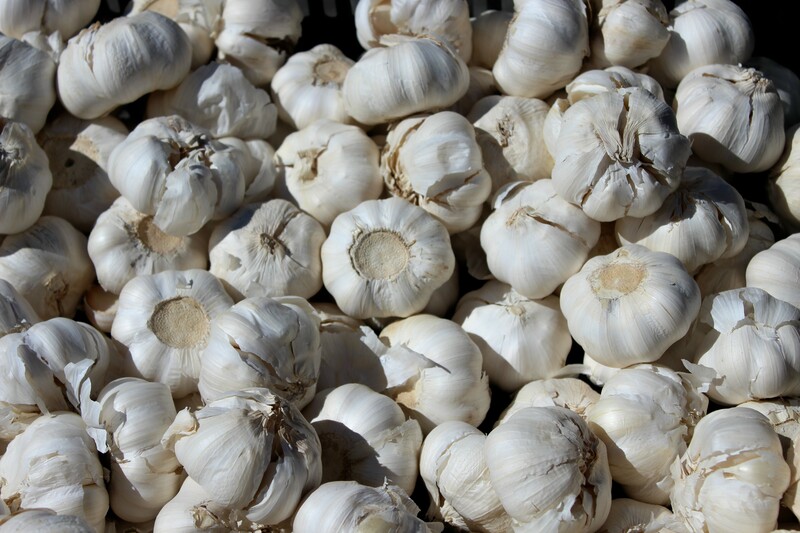 RAMSEY NJ – The award winning Ramsey Farmers’ Market welcomes fall with their first ever Garlic Festival this Sunday, October 9th from 9AM-2PM at the Erie Plaza train station on West Main St., Ramsey, NJ. Everything garlic…including garlic varieties from Rocks and Roots Garlic Farm, chopped marinated garlic, roasted garlic and 5 cheese ravioli, flavored oils, garlic powder and braids, garlic pizza, Death By Garlic beef jerky, Garlic pepper and Rosemary Garlic goat cheese logs, garlic hot sauce, roasted garlic hummus, homemade kielbasa with garlic, roasted garlic eggplant and much more, along with over 50 outstanding farmers and local food purveyors with all the fine variety of produce and products you’ve come to love. There will be two chef demos…lots of garlic going on there, children’s crafts and great music with the band Red Apple Rest. Visit http://www.ramseyfarmersmarket for a complete list of participating vendors, our market calendar of future events and our dedicated sponsors or call 201-675-6866 for more information. Ample free parking available. So throw a sweater in the car and come on down for another fine Sunday at Ramsey Farmers’ Market! There certainly won’t be any devils, werewolves or vampires around thisSunday – just lots of fun for all!! !